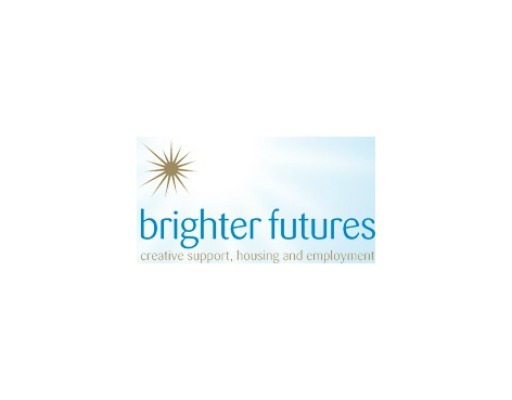 Brighter Futures is a registered social landlord whose purpose is to help people recover a sense of self worth and to live in cohesive communities. It seeks to work with people who may be experiencing social exclusion such as homelessness, mental health issues or complex needs relating to substance misuse. With our partners, we provide a complimentary range of services, for those whose emotional, physical, social or financial situation leaves them excluded and in need of support to live more independently in the community. People – Improve their health, reduce the use of drugs and alcohol and develop skills to help them live in the community. Communities – People participate in their community, feel that they belong and are valued. Environments – People feel safe in high quality environments where they have control over the choices they make. Economics – People become more economically independent, improve their earnings potential, develop new skills and recognise their own worth. Employ and train local people. The Mental Health Enquiry report 2014, still guides our core purpose in improving the lives of people with complex needs. Its findings are as relevant now as they were when published. Our VOICES service is founded upon delivering system change for people with complex needs – this aims to drive change in how services are delivered, in policy making and thinking in social care. Expert citizens formed from VOICES will provide a lasting legacy beyond the project life of VOICES. Expert Citizens is founded on its members providing expertise through lived experience. We sit on strategic partnerships and boards to drive homelessness strategy, mental health strategy/ Suicide Prevention Group and health and wellbeing initiatives. We promote equality and diversity and helping people to lead fulfilled lives it is at the heart of everything we do. We believe that with tailored support our customers can be empowered to recognise and develop their strengths, confidence and self-esteem, manage their lives positively and build aspirations. We believe that life circumstances such as poverty, abuse, bereavement, and mental illness can affect us all. A roof over your head is where we start. We don’t stop there; each year team of over 200 staff and volunteers support people with complex needs through personalised accommodation, employment, training and mental health support, working in partnership to create brighter futures. social or financial situation leaves them excluded and in need of support to live more independently in the North Staffordshire community, we also run a number of services in Walsall and Tamworth. Hostel accommodation – used mainly by people sleeping rough and / or living with addiction. Specialised support for those wanting to address their substance misuse. Supported accommodation for people living with learning disabilities. Short term stays for people during a crisis and in mental distress where a hospital admission may not be suitable or wanted. Supported accommodation for those wanting to live independently with some support. Our Staffordshire Mental Health Helpline providing free confidential listening service. Our self-harming support advisory service ECHO – which provides mutual support for people who have experienced self-harm. This has had its funding cut from Oct 2017. Brighter Futures has been able to fund this service from trading surplus generated to continue to offer this life-saving service. Providing much needed support to 80 people. 100% of people supported have seen a reduction in their self-harm and use of crisis services. Our Clubhouse network - supporting people to improve their mental wellbeing, meet new people and learn new skills and support in a safe, welcoming environment. Our Clubhouse also runs a café’ facility which provides customers with a vital social space, affordable refreshments, all surplus generated supports customers with further activities. This offers wellbeing services such as therapeutic art groups, walking groups, gardening, 1:2:1 and peer support to promote physical and mental wellbeing and social inclusion. Our customers and volunteers now produce a monthly newsletter as part of their recovery journey. Employment and training through our catering network. Our catering network provides affordable catering services and has also been involved in social initiatives such as free lunches for school children during the holidays. Our Catering Network also provides hot and cold catering to local business and communities, volunteering and training. Property Services: Our team enables us to provide and maintain high quality, comfortable home. We decorate, furnish and maintain Brighter Futures properties. We work to a very high standard making sure that everything in our customers’ homes works as it should and that it looks and feels modern and homely. Our Property Services provides vital maintenance and repairs, as well as volunteering and employment opportunities. We use a number of ways to demonstrate how our customers/service users benefit from our services; these include on a recovery support level ‘The Outcome Star’ plan, which tracks ten key aspects of a person’s wellbeing. These ten points are measured to assess where someone currently is and help them to focus on those areas that will most impact them or require most attention. This can include relationships, health, isolation among a number of aspects. We provide training and education through our Brighter Futures Academy and Volunteering to help remove barriers to employment, improve financial and digital inclusion and help improve life opportunities. Our Clubhouse Network is open to adults to benefit from mental health support, leisure, social activities, affordable catering and reduce social isolation. We sit on a number and are members of key strategic bodies including Suicide Prevention Group, National Housing Federation, Homeless Link, Co-operative Working Group – our aim through membership of these groups is to demonstrate best practice and advocate for the benefit of our customers and vulnerable groups. We aim to influence policy and decision making at a strategic level. The 'Mental Health Inquiry report' demonstrates the social impact Brighter Futures has on the peoples’ lives we work with. This report is as relevant now as it was at its time of publication and still guides our overarching mission and practices. We undertake a customer survey annually and publish findings with headline figures published in our Annual Report. We welcome feedback from our customers and are open to positive and sometimes negative feedback which is used constructively to review our services and practices. One example includes feedback that our customers wanted more activities to be available we have since developed our walking group, our customers were supported to develop a memorial garden. (See annual report and customer feedback survey). We have an open complaints and compliments feedback. We review recovery support plans and map customer progress. (see Recovery star example). We review and feed into service. Contract reports which may include service performance such as reduced use of crisis services by customers, improved relationships, recovery, maintenance of tenancies and prevention of homelessness – these may vary dependent on service area and support plan. We gather testimonials and customer case studies that are used as evidence to support bids and contracts for funding. These are also used in marketing materials to better promote our services. (Examples supplied below in Q6). We are required as part of our funding obligations to provide contract and services reporting. We publish our annual report. We consult and engage with customers to shape our services. We hold Staff consultation sessions ‘Staff Speak Out' and focus groups to provide two-way communication. We work across a range of geographic locations across Staffordshire, we have services and properties as part of our housing and accommodation services across several locations and offer in community support and outreach across Staffordshire. Our goal is to expand our reach geographically. Please see our annual report for figures of people supported across our services. People who benefit include local communities through social and economic investment, customers, families, employers, vulnerable adults, partner organisations, communities through reduced social isolation of customers, reduced anti-social behaviour, reduced use on blue light services, reduction of barriers to employment. Our customers are as varied as are their journeys - customers may come to us at different points of their journey with different support needs, and through different touch points. We work with customers to develop person-centred tailored support to that person. In particular we are focussed in adopting an enabling environments approach, an independent assessment by the Royal College of Psychologists our Clubhouse Network was assessed to be” the most enabling environment I have ever seen”, quote made by the assessor. The following demonstrate just a few examples and in particular show how customers have benefitted through peer and 1:2:1 support, attending our Echo group, Clubhouse Network, Catering Network and Housing support. Echo is our service which we have financed through surplus generated through a period when funding was cut. Customers can access our services through a range of ways including referral by a professional involved in their care, such as a social worker, CPN, Mental Health Team, GP, as well self-referring for a number of our services including our Clubhouse Network, ECHO group, Staffordshire Mental Health Helpline, direct access hostel and rough sleeper team outreach. All customers are offered a support plan which provides the framework for developing a person-centred package of support. For our housing service this may include support to maintain tenancies, manage debt, manage general household tasks, tackle alcohol or substance dependencies. All adults aged 18+ living in Staffordshire can access our helpline. Customers across our services can access training and learning through our academy and social, leisure and mental health support through our clubhouse network. “I’ve been self-harming since I was 12 years old, and I’m now 30. I recently lost my social network, which was making me feel apprehensive, so I decided just before Christmas to come back to Echo for support. There have been times in my life where I haven’t had a support network around me, no family. I have struggled to open up due to anxiety, and this has before led to me jumping off a bridge. Now though, with the support of Echo, I know not to go as far as that. The workshops at Echo help me to open up and express myself, they also help me to listen to others and their experiences, and from it I know that I’m not on my own anymore. I also go to the Echo Art Group on a Friday, which is such a friendly and welcoming group. It's a nice social time, full of chatter. Echo has always been a place I can come and go to, that’s cosy and a safe environment. I'm lucky to be alive, and if Echo wasn’t here I don’t know what I'd do”. “After having many years of counselling, I had never addressed my issues of self-harm. Feeling very ashamed I hid it away pretending I was alright to family and friends, only occasionally saying something in my therapy group, feeling on my own, I was trapped in my own world. I was reaching the end of my tether; my group therapy was coming to an end and I was afraid of the future. One night I felt so desperate I ‘Googled’ and found a website -National Self Harm Network, telephoned them and asked for a local group. They told me about Echo. I telephoned Echo and made an appointment to visit and find out more about the group. My appointment was made for the following Wednesday, feeling afraid and ashamed I rang the bell - a group member answered the door and I was asked if I wanted a cup of tea. The co-ordinator of the group showed me round before giving me a leaflet showing what activities Echo do during the week. These included workshops, drop-in sessions and an art group. The group is open to anyone 18 or over. What struck me about Echo was its feeling of tranquillity. I said little about myself and never felt judged. Since becoming a member of Echo my self-harm has improved but I still have blips. I know the workshops are helping me to see the reasons I have done this in the past and are giving me a ‘toolbox’ of information to help me cope in the future. It helps me to be part of a group of people who do not judge but have empathy, each member is valued by each other. I have been at Echo eight months and I wish I had found out about it years ago then I would not have been so isolated. Echo has given me so much and I am slowly beginning to believe in myself. People often say self-harm is attention seeking. However, people who self-harm hide it away from family and friends often crying inside, desperate and hating themselves. I hope people who feel like I did have the confidence to ring Echo”. Currently living in a Brighter Futures property, Jane has been supported by Brighter Futures for six years. She lives in supported accommodation in Burslem. Jane has an outcome star and has a support plan from her social worker. Jane has enjoyed living her flat and it’s really quiet where she lives. Jane was living in care previously and was quite transient, she spent a few months at time across the county. Jane started her journey with Brighter Futures, through becoming a working member at the American Clubhouse. Jane explained as a working member she is involved in clubhouse in a very informal way, where members can offer to provide support when they feel it’s right for them. Jane has become a bit of an informal peer mentor in that respect. She shows people around and supports new members. Jane volunteers in the kitchen on a Saturday for 2 hours this is a more formal arrangement where training and work like support is provided for Jane on a 1-1 basis. When asking Jane why she’s likes to be part of the Catering Network and the Clubhouse, she laughed and replied, “I like to feel part of something”. Jane enjoys the working environment, but without the pressure, it’s enjoyable. Jane feels that she is quite involved in the customer engagement side of Brighter Futures which she enjoys greatly. Jane explained that feels more confident, Jane enjoys taking part in customer consultation and being able to give her feedback on how things work in the service for herself and others. Jane now is volunteering for Lifeways. Jane has been asked to be the customer panel representative for their recruitment process. Jane has never done it before, she’s looking forward it, but is a bit nervous doing something new. Jane is taking part in monthly training through Brighter Futures. This has been a new experience for Jane and shows how much she has achieved in recent years. We discussed that maybe five years ago Jane wouldn’t have been anywhere near settled enough to think about a class based training session. Jane still has anxiety around form filling, but don’t we all. In particular Jane has had great interest in the universal credit, she recently went to a customer representative meeting and then fed back information to the American Clubhouse staff and members. Through Jane's ‘work star’ completed with Brighter Futures, catering network Jane highlighted the opportunities for training and focused voluntary work. Jane’s cooking skills have improved, she can make lasagne, shepherd’s pie, pizza and makes an excellent chocolate fudge cake. Echo- Jane uses the service alongside counselling sessions for bereavement. Brighter Futures Helpline – Ring out service at the weekend, 4.30pm. When asked Jane which service she felt she got the most from. She explained well, it’s everything. Maintain accommodation for six years. For the last six months Jane has maintained her mental health, not had a hospital visit for overdosing. Gain her Food Hygiene Certificate, as well as others. Maintain her volunteer work within the Catering Network. Jane feels part of a team and a respected member of the American Clubhouse and Catering Network. When asked if she could have anything in the world what would it be. Jane said she feels like she still takes each day as it comes, but she is happy with that. We are a Not-for-Profit organisation - any surplus generated is reinvested to deliver services to our customers. As outlined above generation of surplus has enabled us to finance our Echo self-harm support service when funding was cut. This has allowed us to continue to provide life-saving support to 80 people who without this would have no other specialist support available to them. This has included a £14K investment over the last six months to continue this while further funding is secured. 100 Free Christmas lunches provided by our Catering Network to people who may have otherwise gone without and who maybe isolated. 640 Emergency hot meals provided to vulnerable people in need. Over £273k worth of social value added by our customers. Over 75 food parcels delivered to fight holiday hunger helping to feed school children who in school holidays can go hungry. Encouraged - including portion control, introducing new cuisines and sugar control to help improve physical health of our customers and communities. Promoted community - Our café is more than just a café, it provides a vita safe space, reduces isolation, providing opportunities to eat healthily and affordably, gain mental health support. Our Clubhouse Network is open 365 days-a-year. Our catering network provides volunteering and training opportunities. Employees have access to counselling services and can use facilities.